Features a self-closing stainless steel push door that covers the disposal opening along with a removable 1.8 gal. (7 L) stainless steel waste receptacle. Users push door to deposit waste material. Unit is emptied by removing bottom waste container and inverting over collection bag. Safety finger grip on waste receptacle provides convenient grip for service. 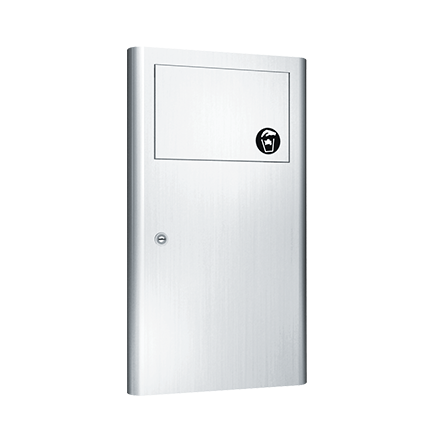 Locked door prevents unauthorized access or removal.